Everyone is welcome to a Friendship Service in St Dymphna’s Church, Ballinode on Sunday 12th August 2018 at 3pm. 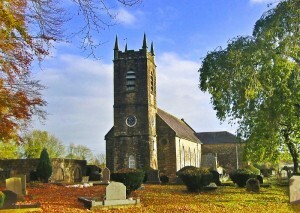 Preacher will be Rev Malcolm Kingston, Rector at St Mark’s, Armagh, and Rural Dean of Tynan Rural Deanery, always with an interesting story to tell. Music will be provided by very talented brothers Jason and Lee Nicholl from Clontibret. The Church community looks forward to the event, and to meeting a lot of old and new friends at the Service, everyone is welcome. “Monaghan’s Rare Birds” a heritage week event in Knockatallon on Thusday 23rd August.